Mansukhbhai Kothari, the founder of Kothari group which manufactures 'Pan Parag' pan masala, breathed his last in his Tilak Nagar residence in Kanpur on 27 November. Kothari is survived by his two sons, daughter and wife Sharda Ben. Born in July 1925 at a village in Nareli district of Gujarat, he had entered the business arena at the age of 16 when he moved to Kanpur. In 1973, he established Kothari Industries and started production of Pan Parag. He was felicitated with President's award for his work in 1987. He entered the education sector in 2005 and built schools across the country. 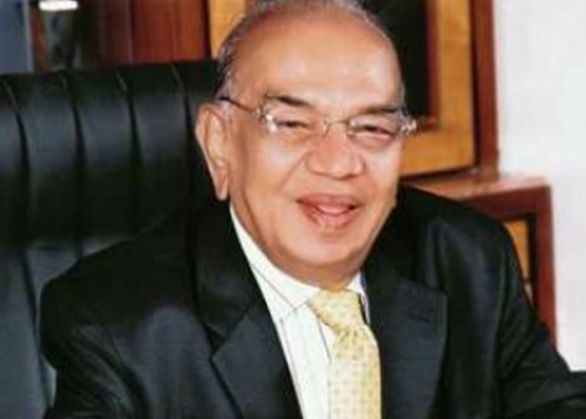 He resigned as the chairman of Kothari industries in 2010 due to his ill health. Did you know Facebook employees in India will now get 4-month paid parental leaves? READ NEXT >> Did you know Facebook employees in India will now get 4-month paid parental leaves?